As one of the most diverse and culturally rich cities in the world it only seems right to use the capital to host a ‘Global Music Experience’. 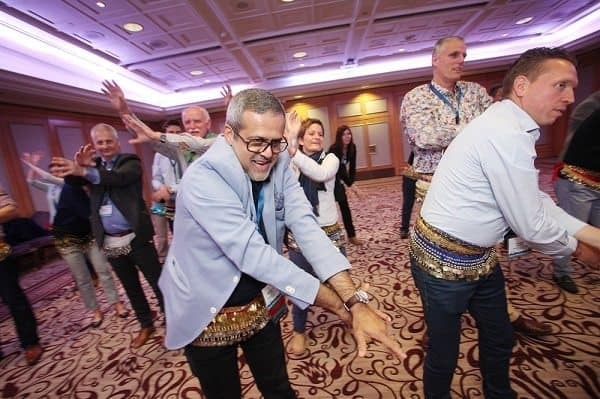 With 9 different zones to choose from, our global music experience offers a vibrant and versatile event to spice up any conference or team build and is one of our most popular team building London events. This exciting team building activity in London offers guests with the chance to learn several different music and dance activities from across the world. Bollywood Dancing took the place of India where the ‘East meets West’ with our talented Bollywood dancers taking centre stage to teach guests the basic techniques of the wonderful art of Bollywood dancing. Bright colours will fill the room as guests enjoy a fun introduction to this traditional dance form. 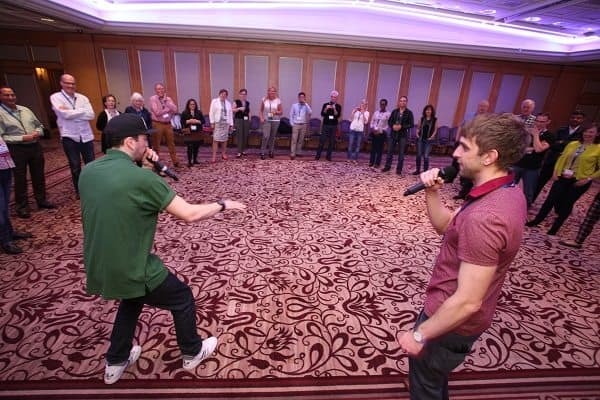 Beatboxing was an event in the region of The America’s bringing together the group with an ultra-modern team building activity. The internationally renowned from of art is an urban phenomenon where guests can learn from the professional demonstration from the beat box artist before giving it a try for themselves. Drumming takes place in the zone of Africa where guest can interact with the drums to create remarkable sounds. The power of drumming is incredible with the group enjoying the rhythmical journey that the Drum Masters take them on. Guests will go from having a basic knowledge of drumming to creating a superb finale where they will go head to head with each other at the end of the experience. Junk Funk is a popular Global Music Experience activity taking place in The America’s zone with plenty of laughter! This is the famous cross between street dance and urban percussion fresh from the streets of New York. Teams will pick up items from brooms to road cones and dustbin lids before learning some distinctive tips and tricks from our Junk Funk instructor. The result is always great team work and hilarious fun. All of this was enjoyed in one evening by hundreds of participants in central London. The feedback from the participants showed the way that the ‘Global Music Experience’ captured the imagination of all involved and opened their eyes up to different cultures and different music and dance forms from around the world. To find out more about our global music experience and other Team Building London events that Team Tactics enjoys creating explore our Team Building London section and contact us if you see something that your team might like!